Some people fear that much of the Indigenous contribution to astronomy has been lost, but it's seeing a resurgence. It's just after dusk on a cool August night in Wood Buffalo Park in Alberta, roughly 50 kilometres southwest of Fort Smith, N.W.T. For two days and nights, clouds and cool weather have hampered the group of astronomy enthusiasts hoping to enjoy the dark skies and perhaps even catch a display of the northern lights. It's the final day of the Thebacha and Wood Buffalo Astronomical Society's Dark-Sky Festival. and, as if the sky takes pity on the group — made up of amateur astronomers and families with young children — the clouds begin to break up as the sun sets. But there's one streak that remains in the dark blue sky. "Keep an eye out," says Roland Dechesne, a guest speaker and member of the Royal Astronomical Society of Canada. "Could be aurora." Salt River First Nation elder Paul Boucher, who is standing nearby, looks skyward. "What? That?" he says. "Yeah. That's the northern lights." 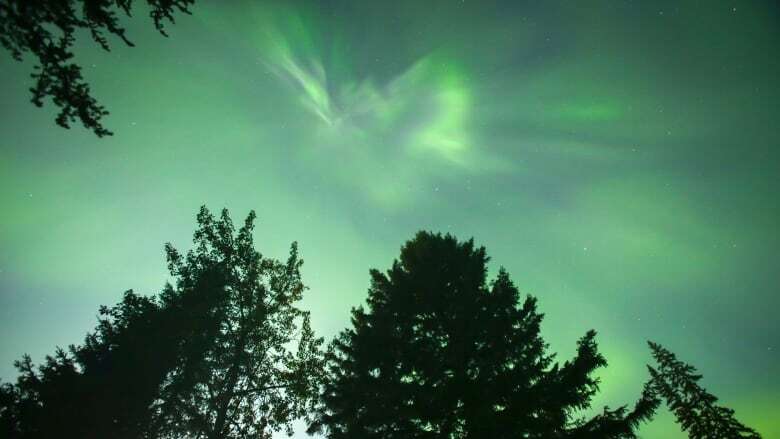 "In the wintertime, when these lights were in the sky most prominently, there was a connection, a connection to alternate realities, to the spirit world," Wilfred Buck, a science facilitator at the Manitoba First Nations Education Resource Centre (MFNERC) says of the northern lights. "And that connection was strong." Buck, from Opaskwayak Cree Nation, has a goal: to teach science from an Indigenous perspective, something that he's been doing for 14 years. He's a hard man to pin down; for many days of the year, he is travelling, often with his portable planetarium. When he took the position at MFNERC, he wanted to teach First Nations in science. 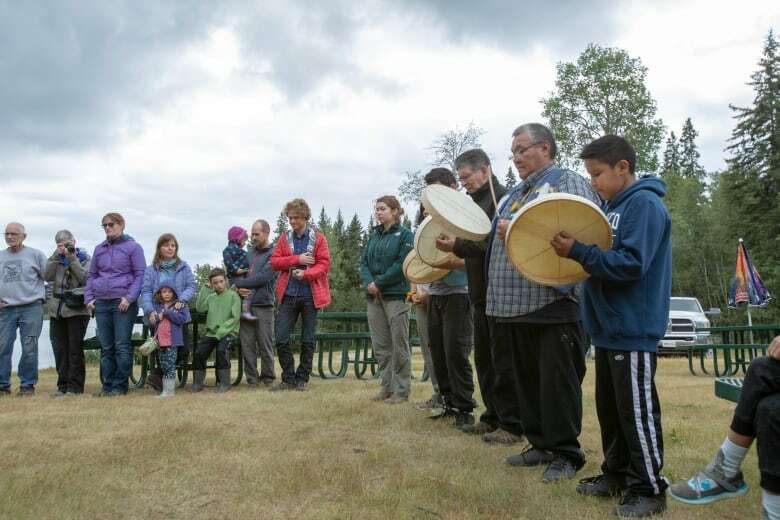 In an effort to determine the best way to do this, he reached out to the elders who told him he had two ways he could approach it: he could teach it from a Western system and infuse First Nations' culture into the subject areas or he could do it the opposite way. He opted for the latter. "The students have to understand … they've been educated and told and colonized to think that our people were savages in a bush and surviving and we didn't know anything," Buck said. "That's not true." Buck's interest in the stars began when he was about five years old. "I remember sitting on the banks of the river and looking up at that night sky, and wondering … what's out there and where our place is in it," he says. "Sitting in the sweat lodge, singing these ceremonial songs, partaking in [the] sun dance, partaking in fasting, partaking in ceremonies — a lot of these ceremonial songs are in reference to the stars," he says. "And all the ceremonies that are done are done in regards to the sun." Like Buck, Hilding Neilson wanted to bring Indigenous astronomy to the public. 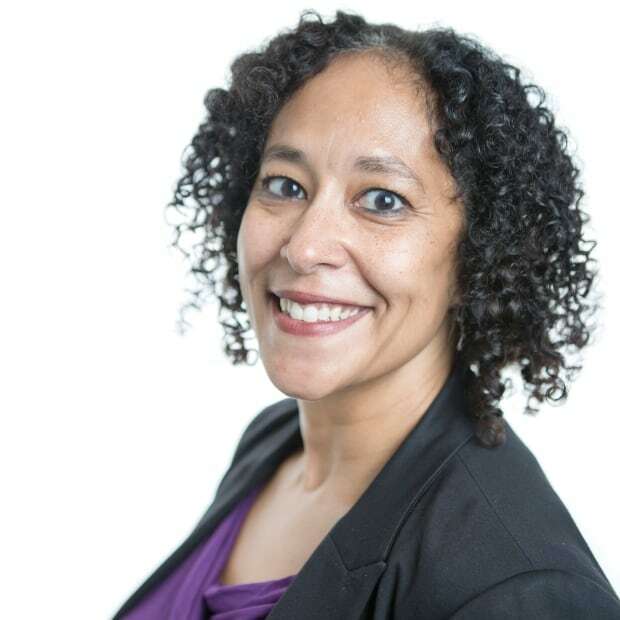 Neilson, who is Mi'kmaw from the Qalipu First Nation in Newfoundland and Labrador, is an assistant professor in the University of Toronto's department of astronomy and astrophysics. 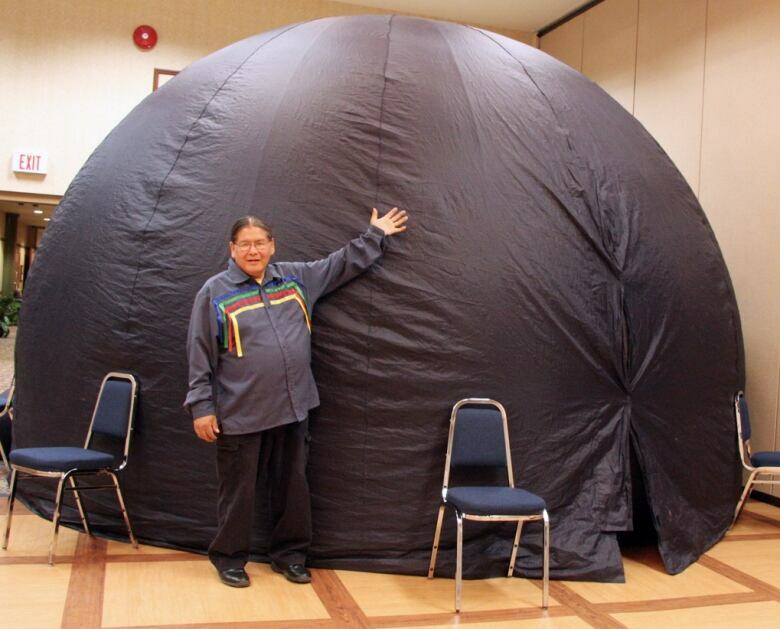 He teaches Indigenous astronomy in his courses. "I wanted to see more of Indigenous knowledge in classrooms, because we are on Indigenous land," he says. "Simply put, if we're going to be here, we should be learning about the peoples whose land we colonized. We should be learning about their knowledge and learning to appreciate that knowledge." Buck says most people don't realize First Nations people had a deep understanding of the sky and even pondered such topics such as cosmology and quantum physics. One example is the star cluster called the Pleiades or, in Western culture the Seven Sisters. The Cree referred to it as the "hole in the sky." "When they're referring to a hole in the sky, they're referring to a spatial anomaly. They're referring to a wormhole, an alternate reality," Buck says. "They meditated on these things, they dreamed about these things, they debated on these things and they philosophized on these things." And it's time that astronomers and scientists considered Indigenous contributions and their worth, Buck says. "All these ceremonies and all these so-called mythologies … there's a depth of knowledge involved. They're not just quaint little stories. … Every Indigenous culture in the world has that depth of knowledge, that intellectual capacity," he says. "It's just that through the colonial process it's been minimized and it's been marginalized." Neilson says many of the stories have been lost, but he's happy to see renewed interest in not only telling the stories, but respecting what they have to offer. The worry is that much of it may have already been lost. "Like every aspect of Indigenous knowledge, we know we have to be very worried about what has been lost and what is unavailable," Neilson says. "And who knows if we'll ever get it all back? But preserving it is a big, important part of all this." It's important that no one underestimates the importance stars play in the daily lives of Indigenous people from around the world, Buck says. "Stars are part of our lives," Buck says. "Every night they're out there and my people believe we come from the stars."